The APU South Africa Semester offers students an exciting opportunity to learn, serve, and engage in the unique culture of South Africa in Pietermaritzburg and Cape Town. Students learn about the country’s rich culture and history through academics, serving in local communities, developing relationships with South African community members, and engaging with local families. An understanding of South Africa’s history, culture, and current socio-economic and political trends, learning through relationships with South African students, academics, and local community members. A toolbox of techniques for intercultural learning, including ethnographic fieldwork methods and analytic journaling. An understanding of the principles of community building, including interconnected issues of poverty, inequality, racial, ethnic, and gender discrimination. An understanding of intercultural communication, nurtured in deep relationships with South African community members. Hands-on social and ministry skills while serving a particular South African community that are transferable to communities at home and around the world. Intercultural competency values of respect, openness, curiosity, and adaptability. A global perspective that can be integrated into career plans, and a commitment to a life of ministry and service in tune with God’s heart for the reconciliation of all the world’s peoples to God and to each other. An expanded and strengthened faith, rooted in a Christian worldview. Meet Neil Henry, Ph.D., adjunct professor of history and culture at the Capetown location of APU’s South Africa Semester program. For more information on courses and how to apply, visit APU South Africa Semester. 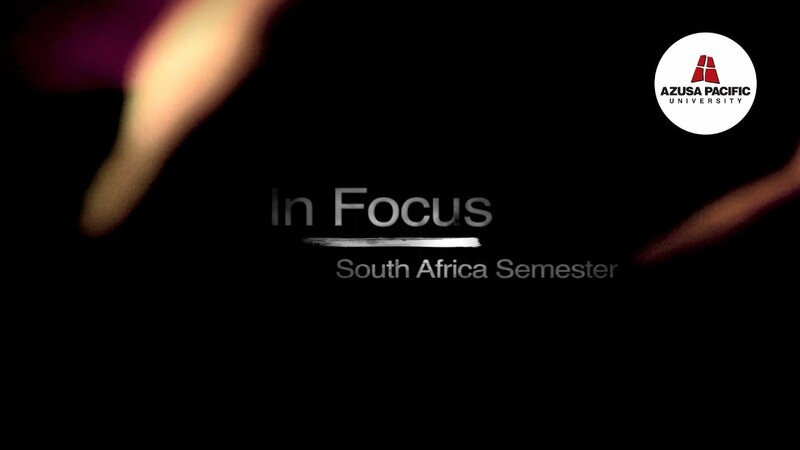 View more of the student experience in South Africa. Pietermaritzburg, the capital of KwaZulu-Natal Province, is an incredible city full of history, culture, and adventure. The town is a mix of Boer, British, Indian, and Zulu cultures and offers a wide variety of museums, Hindu temples, and historic sites to be explored. Nicknamed the "City of Flowers," Pietermaritzburg has many botanical gardens, beautiful hiking trails, gorgeous waterfalls, and the largest walk-in butterfly center in South Africa. Pietermaritzburg also features beautiful Victorian and Edwardian architecture, numerous art galleries, and local craft and farmer's markets. Cape Town contains a vast number of inlets, bays, beaches, and cliffs, and a trip to the top of Table Mountain is a must. Students will be oriented to the public transportation system within Cape Town and given the opportunity to explore this beautiful city within reasonable safety limits and guidance from program supervisors. The Central Business District and inner suburbs display beautiful ancient architecture and offer numerous places of interest such as the South Africa National Gallery, the South African Museum and Planetarium, Saint George's Cathedral, and the South African Cultural History Museum. Cape Town has a beautiful inner city park and the Castle of Good Hope, the oldest building in South Africa. Student scholarships, grants, and other financial aid may be used for payment while attending the APU South Africa Semester. For more information regarding program tuition and costs, please see the Financial Aid Policies.